Does digital literacy end when you stop studying? No! Sian is here to answer your questions about using your digital skills in your post-study life. At the beginning of this course, we defined digital literacy as 'having the skills and knowledge required to achieve our goals in a digital society.' And let's face it: today our world is more connected than ever. Join Sian from BBC Learning English and find out how to make the most of your digital learning in your post-study life. 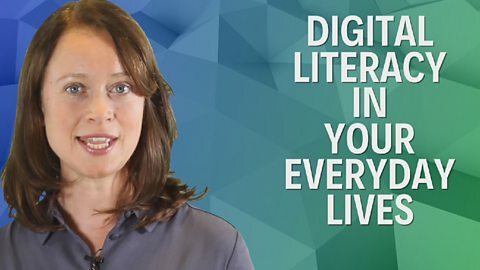 Sian's got tips for using your digital literacy skills in everyday life. While you watch the video, listen for tips on COMMUNICATING, SECURITY, and FINDING INFORMATION. Write them down if you like – and check your answers in an activity later on this page. 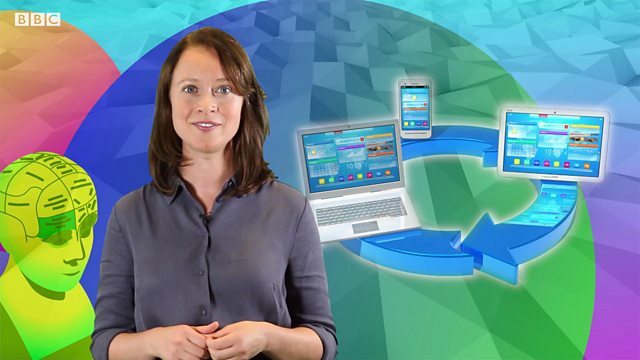 So this is the final video in our course on Digital Literacy for distance learners. I hope you found this course useful and you've got some good ideas about how to use digital devices and platforms to help you with your studies! But you know what? I think a lot of the things we've talked about in these videos are useful even beyond study. So that's what I want to talk about today: digital literacy in your everyday lives. Right at the beginning of this course, we defined digital literacy as: "having the skills and knowledge required to achieve our goals in a digital society." And let's face it: today our world is more connected than ever. Think about how often you connect with friends and family on social media, or use the internet to get the information you need. Digital communications are a big part of our lives – so what have we learned on this course that we can use in our everyday lives? For me one of the most important things is how to communicate effectively with others online. It's really important to behave in a respectful way to other people. Because online communication is not face to face, sometimes people say things they would never say in the physical world. People who say mean and horrible things online are called 'trolls', like monsters from fairy tales. Nobody likes trolls – so always treat other people online with respect. Remember – the internet never forgets. Things you post on social media can be hard to get rid of – so think carefully before you put it online. Safety and security are really important too. Don't give away your personal details – or anyone else's. You don't want strange people showing up on your doorstep, or being able to access your bank account! We've talked about using the internet to find information, but always remember to critically evaluate the information you find online. If you use incorrect information in your studies you can lose marks. In the same way, if you accept incorrect information, your understanding of the world could be based on something that is not true. So use your judgement and go deeper into the information you find to make sure you can believe it. So those are a few of the key things to remember when you are online. I think we are lucky to be living in the digital age. These are wonderful resources that have revolutionised the way we get information and communicate with each other. But we always need to be improving our digital skills so that we can make the best and safest use of the online world. So enjoy your experiences online and I hope that your digital skills will make you a better student! Bye for now! We asked you to listen for what Sian says about COMMUNICATING, SAFETY and FINDING INFORMATION online. Did you get it all? Check your answers with this activity. Did Sian say that you should be respectful when communicating online? Sian said "you don't want strange people showing up on your doorstep, or being able to access your bank account!" Sian mentioned being careful with your information online – true or false? Sian said "remember to critically evaluate the information you find online"
Sian said you should accept everything you find online as a fact – true or false? It's the end of the course and you're feeling fine. That's because now you know how your digital skills can help you – even after you've completed your course. Let's review what we've learned about how digital literacy can help you in your everyday life. We're more connected today that ever before – being able to use digital tools and technology is becoming more and more important for everyday life. Effective communication online starts with respect – even if you aren't talking face to face, you should still treat others as you would in real life. Don't be a troll – someone who says mean and horrible things online – treat other people you interact with online with kindness and respect. The internet never forgets. Things you post on social media can be hard to get rid of – so think carefully before you put something online. Be careful online and don't give away your personal details. You don't want strangers finding out where you live - or accessing your bank account! Be critical about the information you find online. Don't just accept it – use your judgement and investigate to make sure it's trustworthy. That's the end of this Digital Literacy course! We hope you now feel more confident about studying in the digital world. Visit our partner The Open University for more digital literacy tips – just click on the 'Where next?' link.